Flourishing under the guardianship of its head chef, The St Hubertes in Italy, a former pizzeria, is now an exclusive haunt of the discerning gourmet. 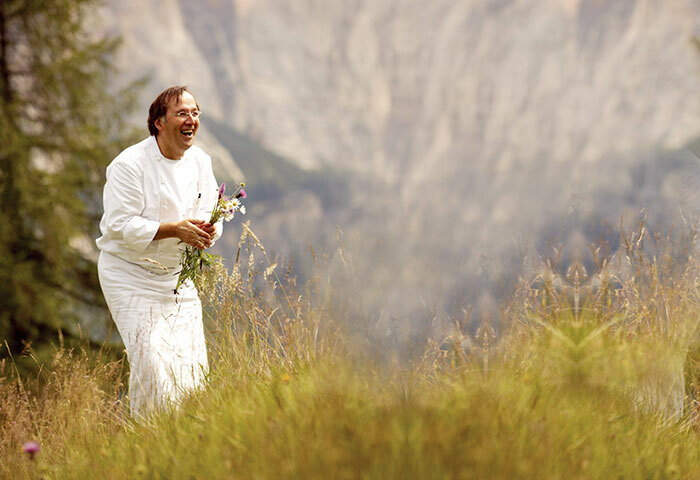 A follower of the mountain traditions of Italy mixed with the Austrian influences of St Tyrol, Chef Niederkofler’s creations are palate pleasing. His tryst with food started when he spent his formative years in the kitchen of his parents’ hotel. In a chat with Verve, the chef speaks about the philosophies and principles that underline his life and food. My idol was and still is Witzigmann from the Aubergine Restaurant in Munich, Germany. 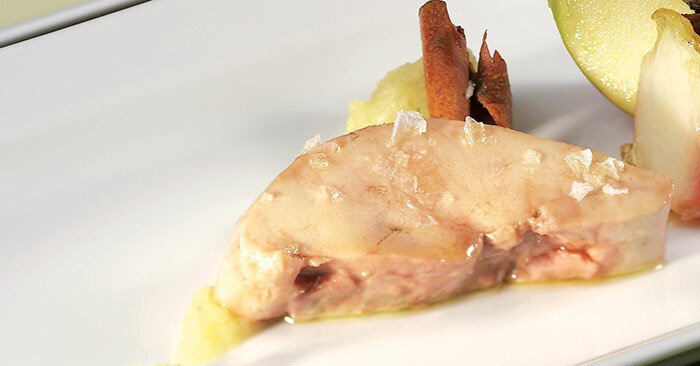 At the moment my biggest inspiration is nature – and with our dishes we try to get as close as possible to it. It is also very important to think like a child, to be open with your mind and never stop trying. How did working in the kitchen of your parents’ hotel influence you? It was very important for me. I learnt to appreciate being in the family, to respect what I have on the table and to eat in a family style. Which aspects of authentic Indian cuisine are you drawn to the most? It’s the variety of spices and different cultures. I am looking forward to travelling through the countryside, going to simple restaurants, seeing how people live and eat. I’m also keen on meeting some famous Indian chefs. What’s your philosophy when designing menus? I try to make the dishes very simple, not use too many ingredients but always have top quality products. For me, the star is the product. If you mix too many tastes you cannot detect the quality of individual ingredients. Almost 80 per cent of the dishes I create are in my head. 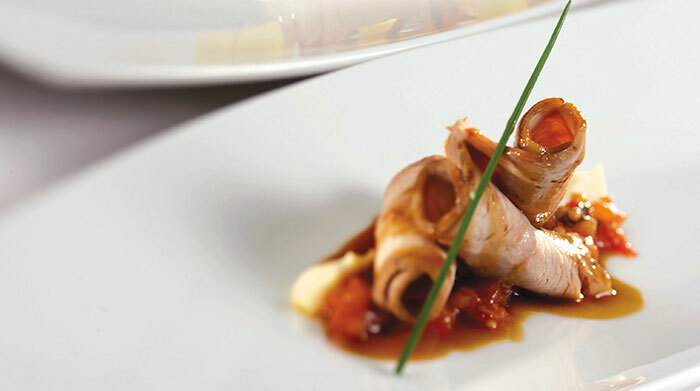 I think about different products, taste if the ingredients work together or not, then I speak with my chefs about them. As the head chef of a two-Michelin-star restaurant how do you balance the creativity of your dishes with the desired quality standards? We started 10 years ago with a pizzeria. So to bring a pizzeria as well as your clients to a higher level, you have to work with consistency. In which city have you had your most fulfilling experience? For me New York was and still is a melting pot of culture and cuisine. From November 12 to 20, Chef Niederkofler will share some of his favourite dishes paired with a variety of Italy’s finest wines at Travertino, The Oberoi, New Delhi.